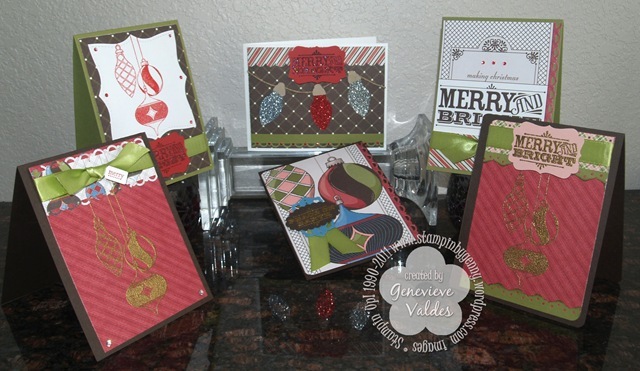 I made all these cards with half of the Merry Moments Scrappin kit. 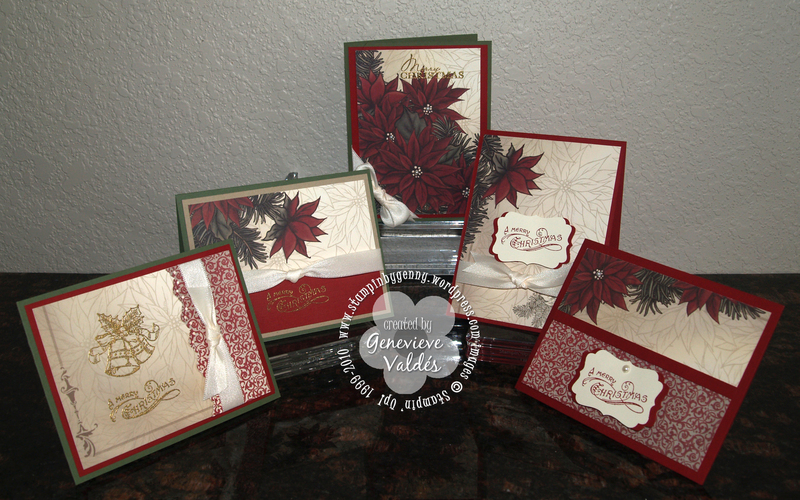 I provide PDF instructions to show you how to cut the paper and card recipes for all 30 cards. 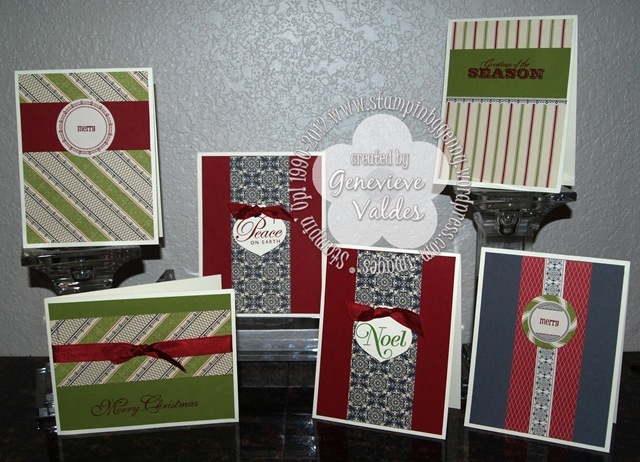 If you need fast and easy Christmas cards order my PDF instructions. 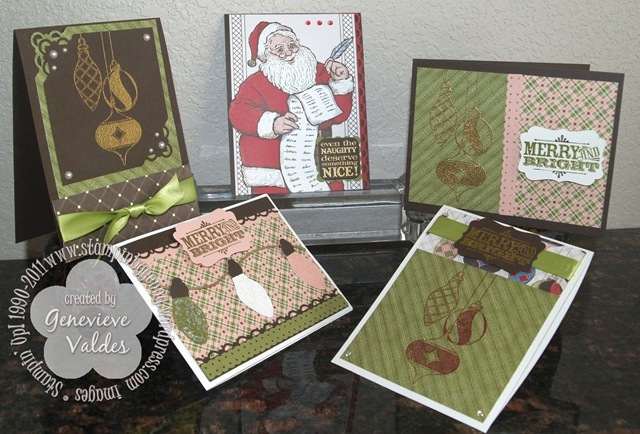 Make 30 Christmas cards from half of the Letters to Santa DSP package. 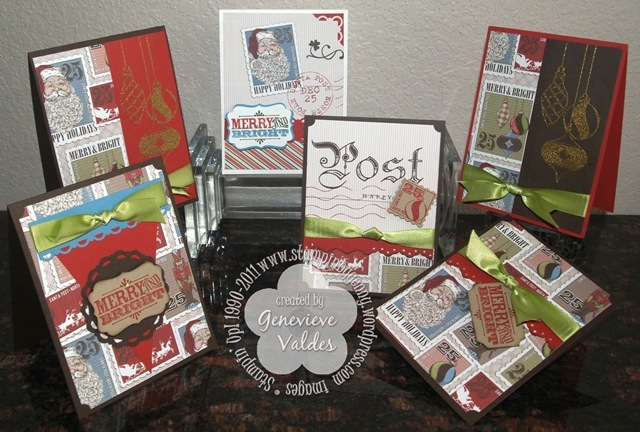 I primarily used the Merry & Type stamp set but I did also use the Tiny Tags and Tags Til Christmas sets. 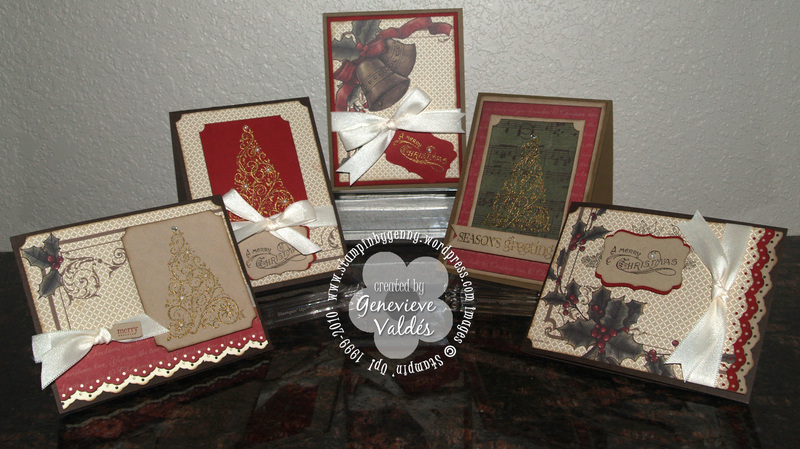 If you need 30 cards fast order my PDF instructions. 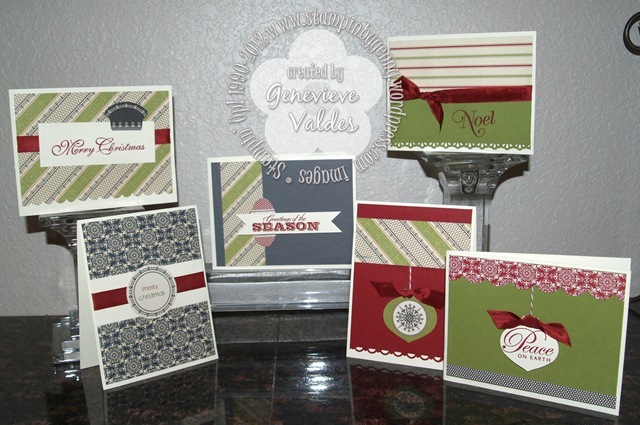 I show you how to cut the paper and card recipes for all 30 cards. 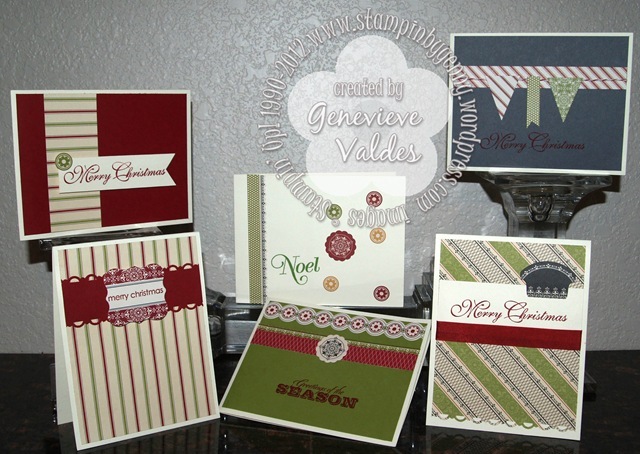 This includes a PDF file for the template and the tutorial. 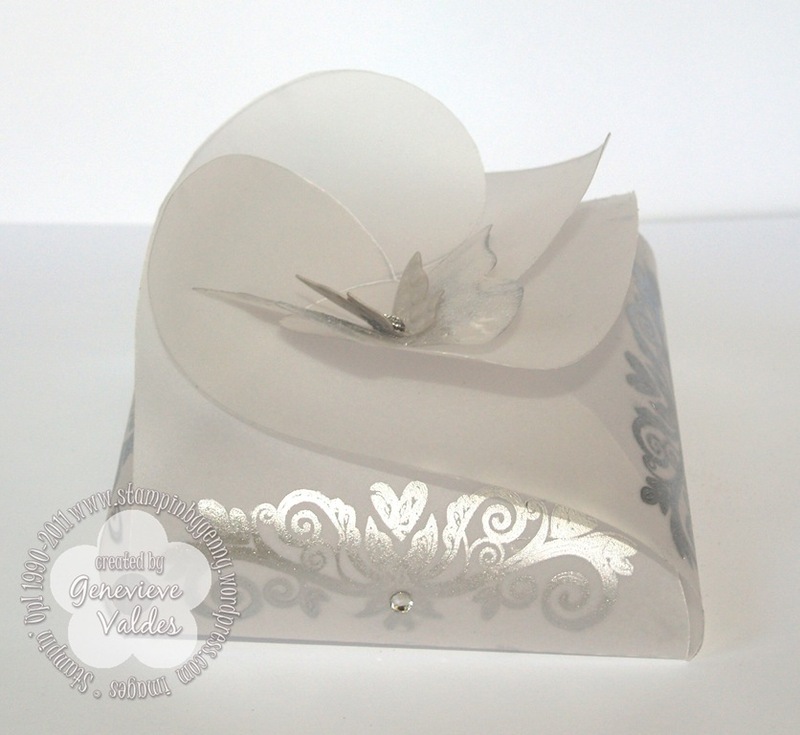 The tutorial contains step by step photos for how to cut, score and close your box. 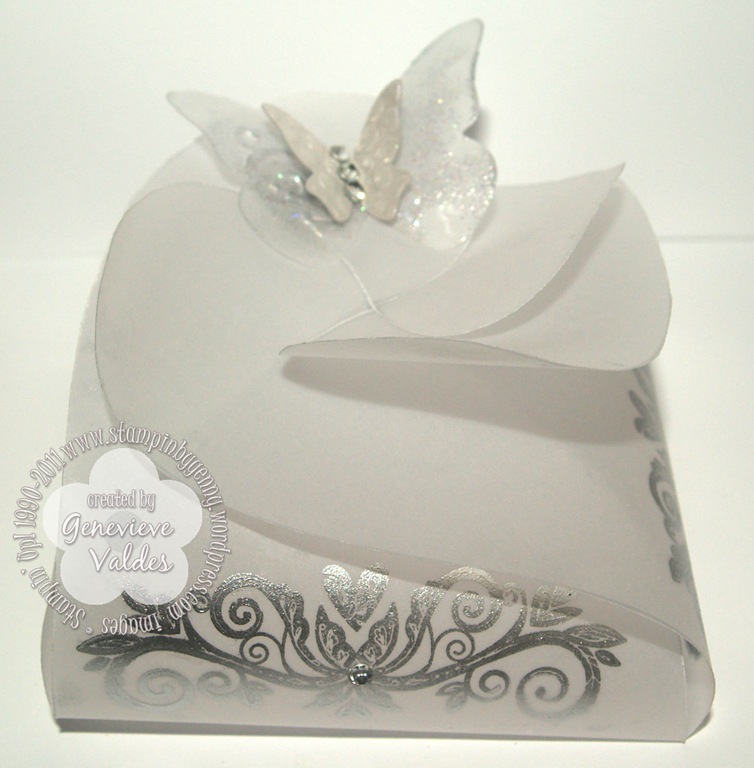 To purchase this template click on the Add to Cart button below the petal box photo. This is a PDF file of the Two Piece Cake Slice template. 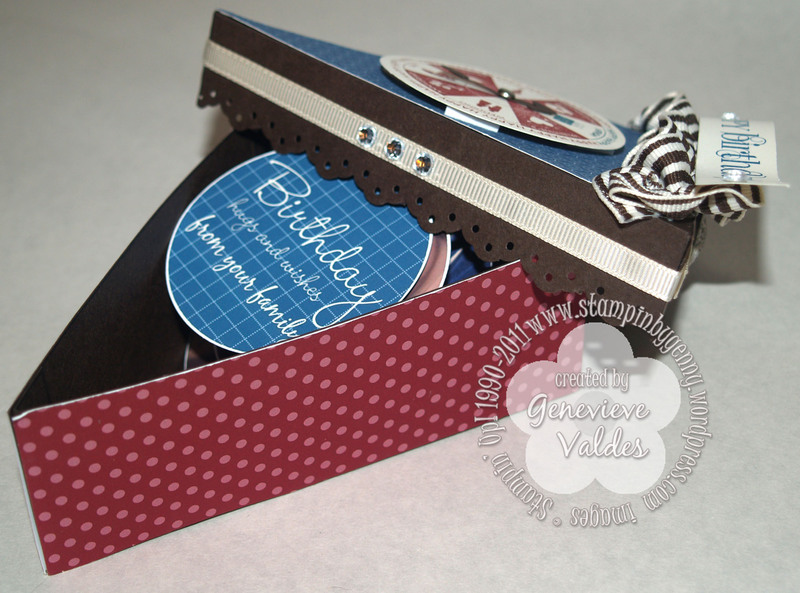 I created this box template because I wanted a triangular box with a lid. To purchase this template click on the Add To Cart button. Since the DSP will retire at the end of the month I created this project to feature at my next workshop this month as a final push for my customers to buy this beautiful paper and stamp set. 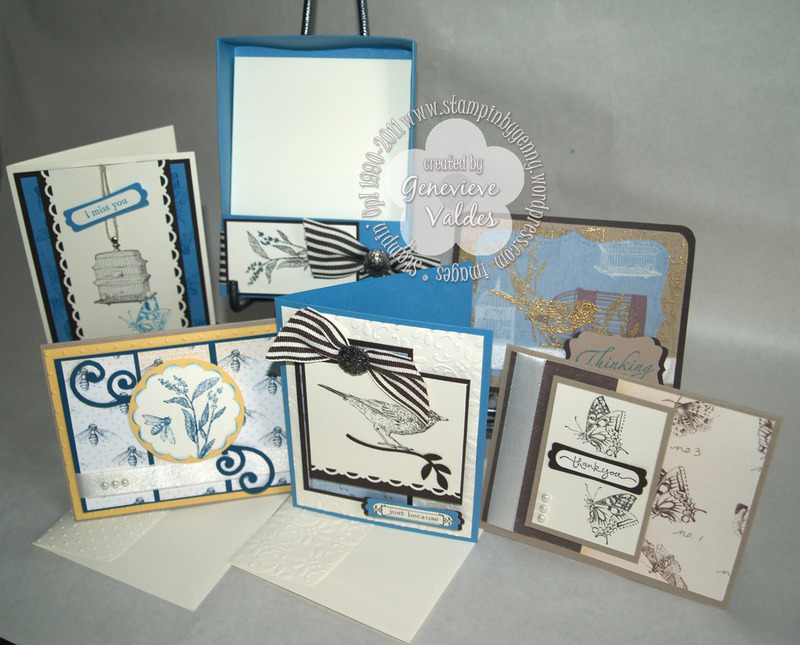 If you’re a SU demonstrator making the box at your next workshop would be a great demo along with showing the completed cards. I have created the template, instructions for making the box, card photos and recipes with dimensions and instructions for making the cards. This is not a step-by-step tutorial. You can purchase these instructions for $2.99. 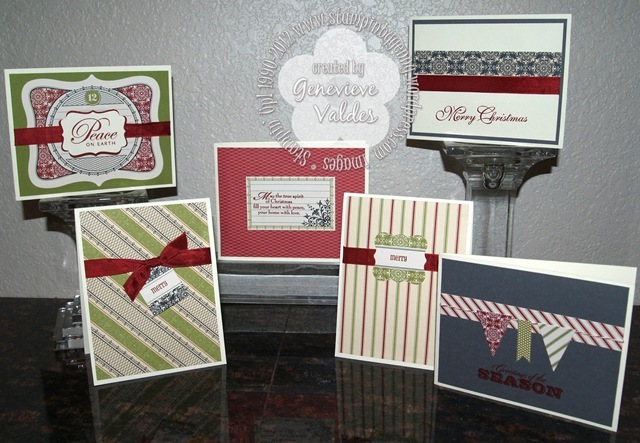 I hope this inspires you to have ONE more workshop this month for a final push on the occasions mini products and to give a sneak peek of the summer or if you’re a hobby stamper I hope this set inspires you to purchase the paper and stamp set. The stamp set is one I’ll never part with. It’s a keeper. 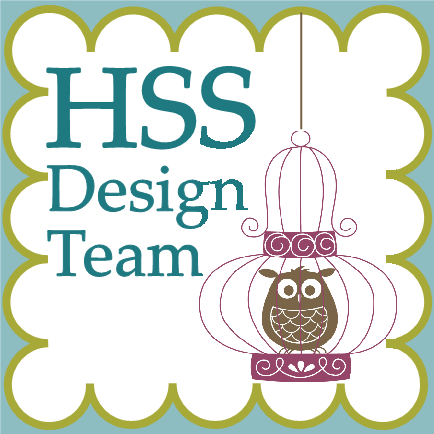 I created this template to fit inside a medium SU envelope (5-3/4″ x 4-3/8″). Please do not forward the template but rather direct people to my blog to download it. 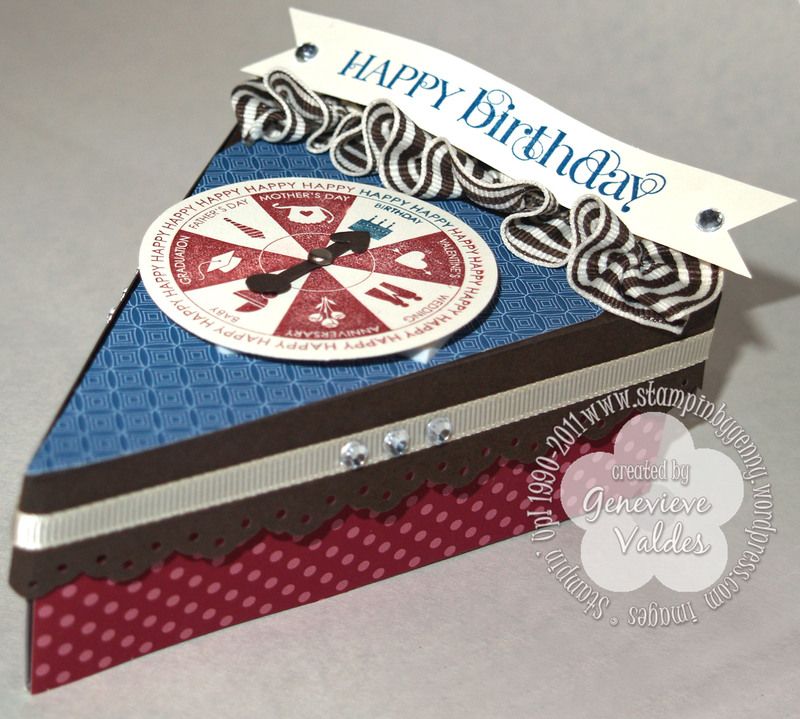 Click here for card recipe. I made this card for Bring on the Bling Challenge. 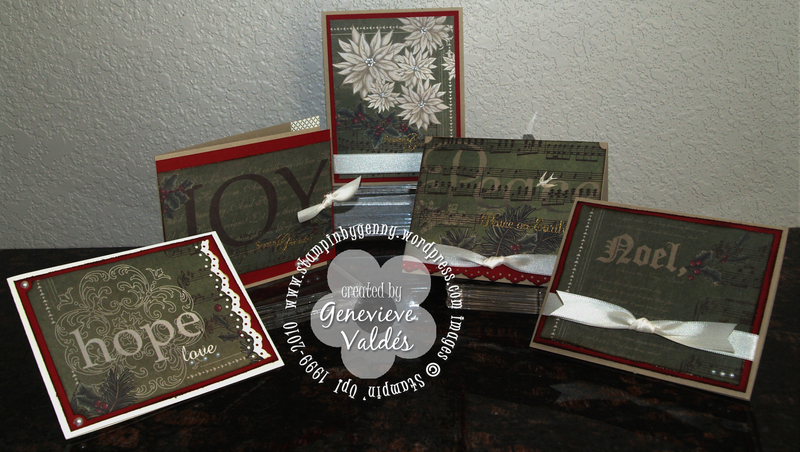 Click here for the template and tutorial. Please do not forward the template but rather direct people to my blog to download it. 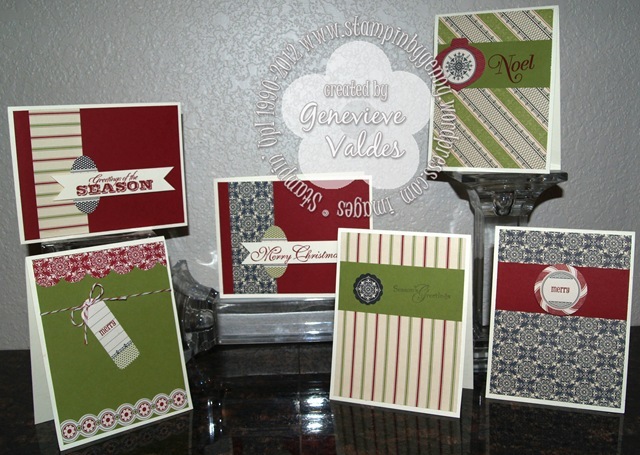 absolutely love all the patterns in Stampin’ Up!’s Deck the Halls DSP. In keeping with my vintage Christmas theme I created this basket. This basket is perfect for filling with goodies or a gift. I’m offering the tutorial for making this basket for 95¢. Thanks for the templates Genny! YOU ROCK! 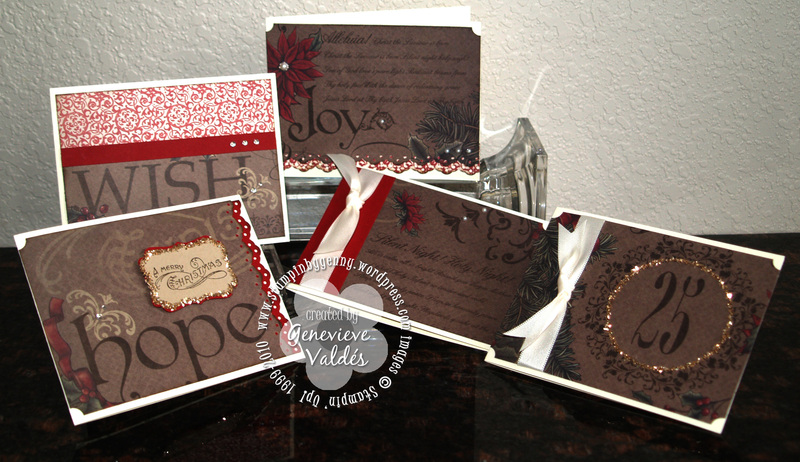 Love your cards….Thanks for sharing your templates. Going to try making one for a friend. Beautiful cards, and thanks for sharing your temples.